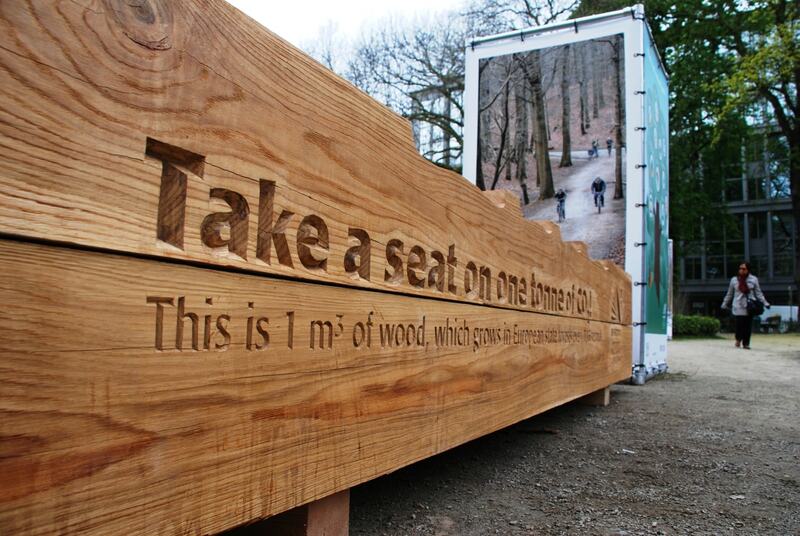 On 21 March the forest will be a step closer to you! 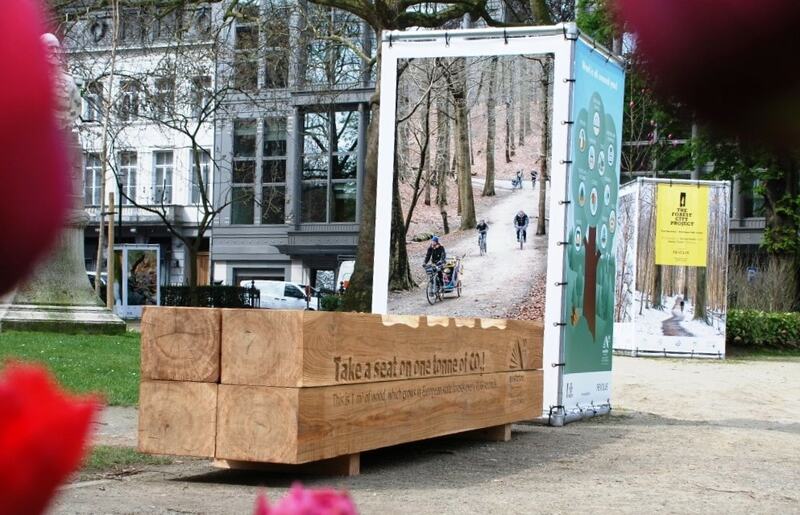 From the International Day of Forests on March 21 to the World Environment Day on June 5, The Forest City Project will bring the forest into Brussels. EUSTAFOR is a Partner of the Project. The campaign is organized by the communications agency Revolve Media in co-operation with a number of Brussels-based organizations. 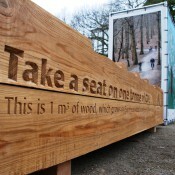 The kick-off will be on March 21 which is also the International Day of Forests. It will extend throughout the spring with different public activities and campaigns in the lead-up to World Environment Day on June 5, 2016. EUSTAFOR became a strategic partner of the project because we agree on the common goals of this campaign to bring people into the forest in order for them to benefit from the services forests provide. 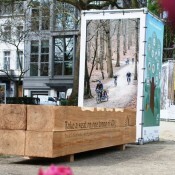 The project will use large format photo displays (cubes). 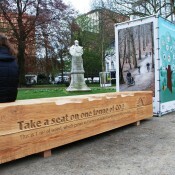 Initially they will be displayed for two weeks, as of 21 March, at the Esplanade in front of the European Parliament in Brussel. 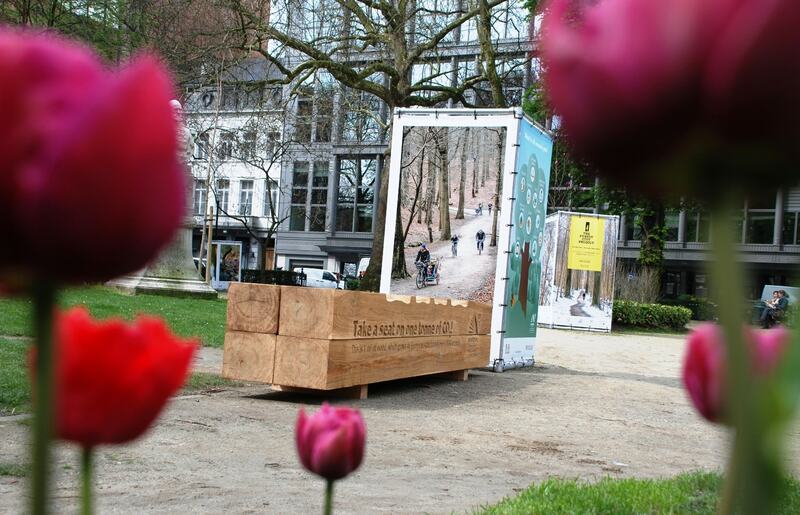 After April 5 they will be moved to the Square de Meeus, a park close to the European Forestry House where they will remain until World Environment Day on 5 June 2016 (flyer). Can you sit on CO2? Please take a seat! 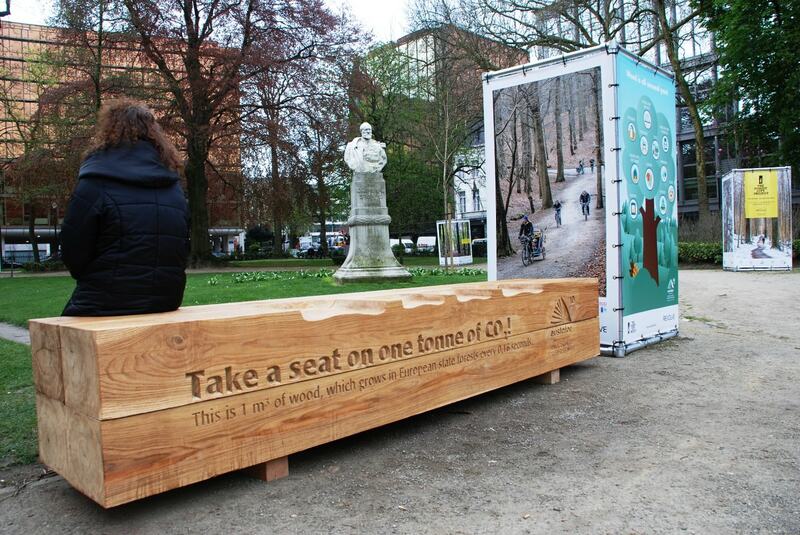 This bench is made out of 1 m³ wood, which grows in European state forests every 0,16 seconds. It was build and provided by EUSTAFOR’s Latvian member Latvijas Valsts Mezi.